our Spring Concert on Monday 3rd April at 2.30pm. 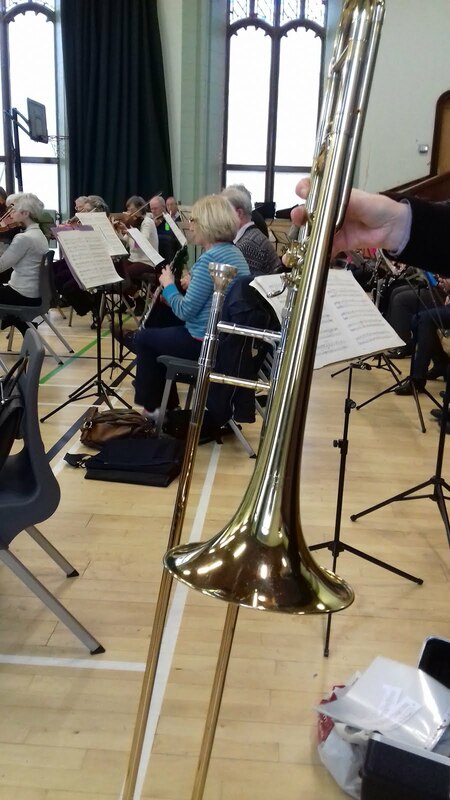 We need a less shy picture of the trombones and trumpets! 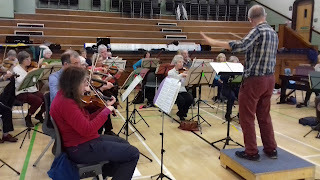 Vaughn Townhill who conducts us so excellently. 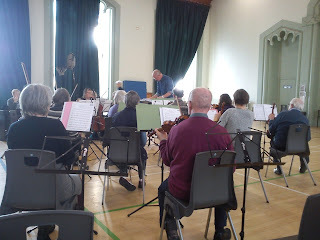 South Side Community Orchestra is Edinburgh's only amateur orchestra that meets in the day time. 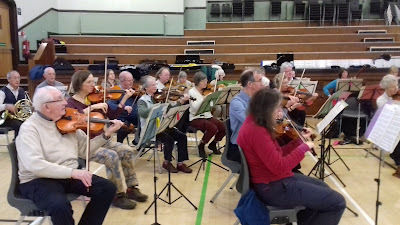 We are friendly bunch and no audition is required, new players are always welcomed. We meet at Edinburgh's South Side Community Center, 117 Nicolson Street in the upstairs hall 13:30-15:45 on Mondays with a half time break for tea and biscuits. 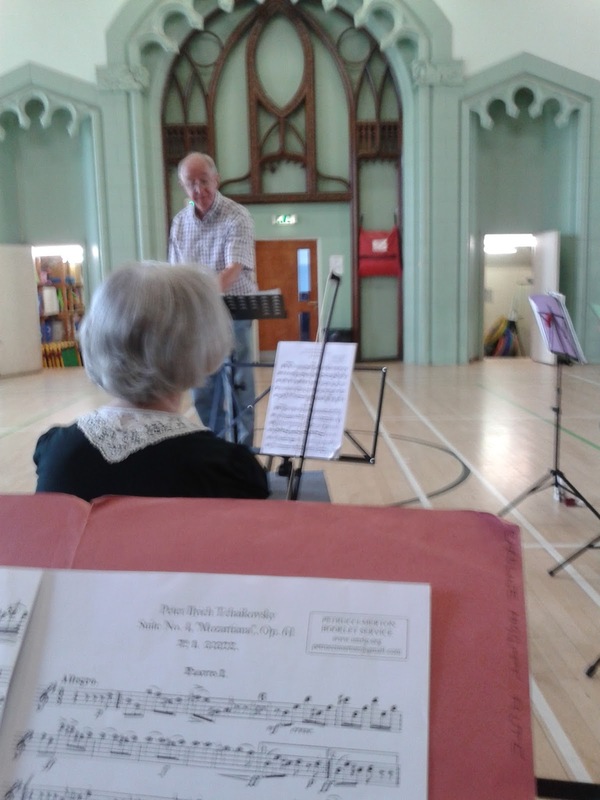 We perform a public concert in the same venue at the end of every term. 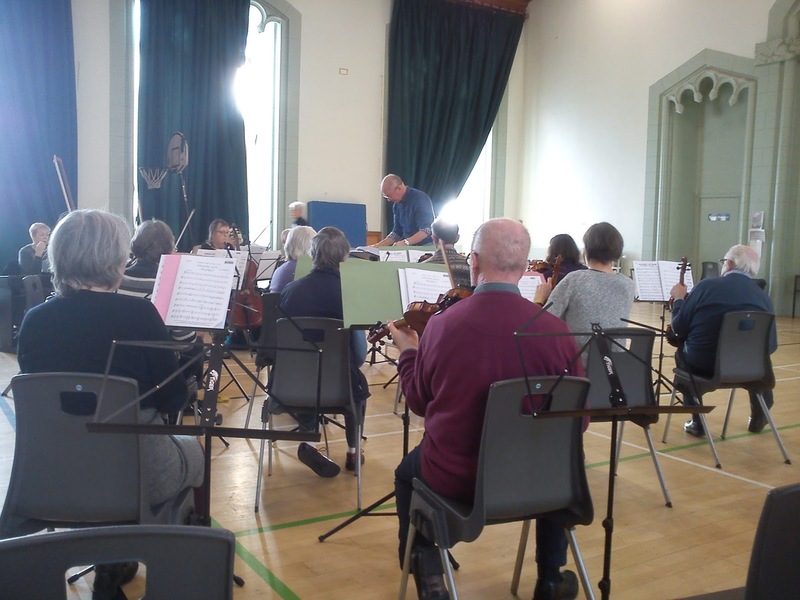 Once upon a time a group of amateur musicians decided to get together on Monday afternoons and play as an orchestra. Who can spare time on Monday afternoons? 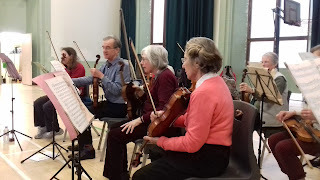 Senior citizens, of course, so it was called the Edinburgh Senior Citizens’ Orchestra. The idea was for the members to benefit from the experience of playing together under a good conductor - nothing beats the excitement of playing one’s part in the build-up to the big finale of a tip-top overture! At the same time, it was agreed that we should not be selfish and think of ourselves alone, we should be trying to use music to lighten the lives of others. 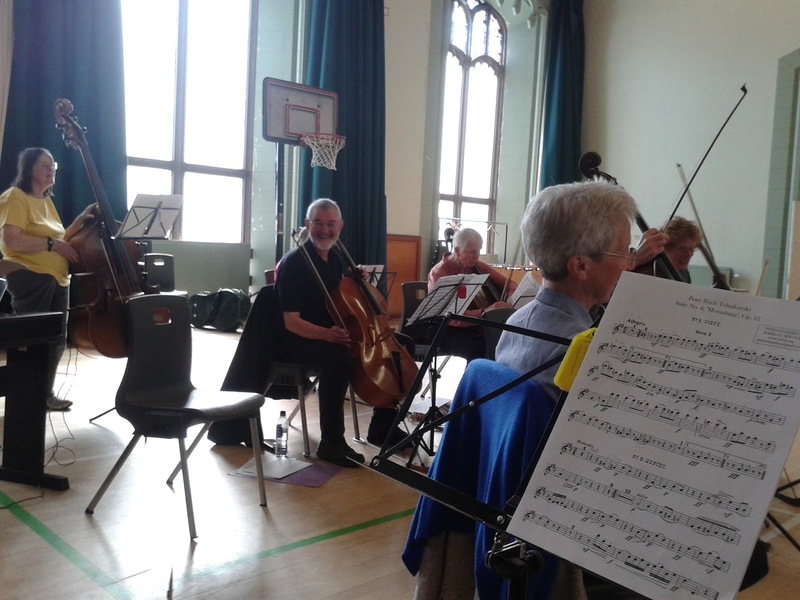 Because we used to rehearse in Riddle’s Court, with the passage of time the ESCO became the Riddle’s Court Community Orchestra, a Registered Charity with a commitment to providing light orchestral entertainment, free of charge, to the Edinburgh community. Our repertoire reflected the experience of the players and the audiences at our concerts in such venues as Community Centers, Church Clubs, Residential Homes, Nursing Homes and other centers catering particularly for the elderly, but also for any others who might appreciate our kind of music. Some years ago the City of Edinburgh Council decided to sell off Riddle’s Court and the Orchestra had to find a new base. 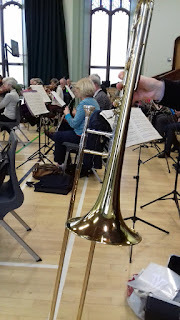 There followed a period of some uncertainty but we were lucky in that South Side Community Center were re-organising and were able to offer us our traditional Monday afternoon rehearsal slot. We accepted with alacrity! At the same time the Central LDC of the City of Edinburgh Council and Awards for All (National Lottery) awarded us grants to help us become re-established and re-stock our music library. Now, many years on we are a firmly established feature of the South Side Community Center and our termly concerts are eagerly anticipated by other groups in the building as well as family and friends of the players.